As you may have inferred from past posts, I love board games. I’ve pretty much given up on video games, largely because I’m rarely in the mood to waste several hours playing a game on my own. I like the social aspect of gaming and video games aren’t really doing that for me. Arkham Horror has long been my favorite game. It’s big, complicated, has some clumsy game mechanics, and a single game can last forever. The first time I played, the game ran nearly twelve hours. But I fell in love with it right away and grabbed a copy for myself. I finally snagged the last of the many expansions last year, and it turns out my timing was excellent, because that version of the game was discontinued to make room for Arkham Horror – Third Edition. The third edition version is a much different game than the previous incarnation. For starters, instead of a traditional fold-out board, this version has a modular design that allows you to create different map layouts based on which scenario you’re playing — of which there are four, and that’s another major change. 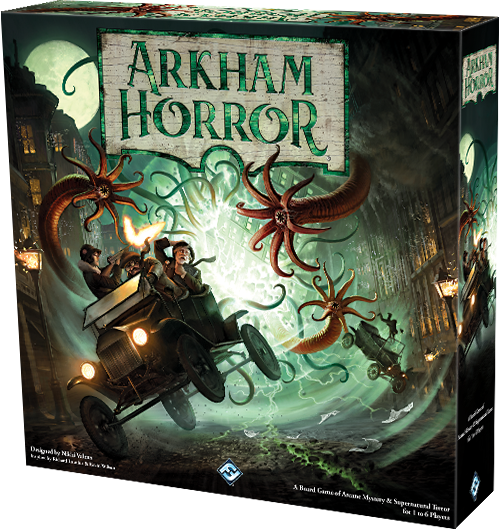 In Second Edition, players faced one of several available Elder Gods, and the goal was to prevent their awakening by traveling through Arkham to collect clues and close down interdimensional gates. In Third Edition, players still need to collect clues to prevent an ancient evil from coming into our world and raising hell, but the game itself is more story-driven. Meet certain conditions and the game takes players in one direction, fail to meet certain conditions and it takes you in another. 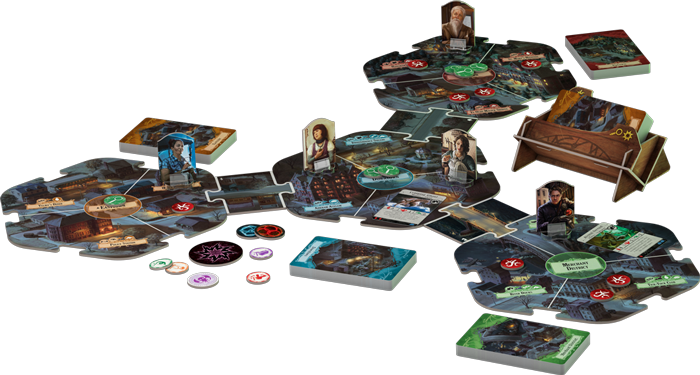 Some of the changes to the mechanics — adapted from FFG’s Arkham Horror – The Card Game — add to the stress levels, and the difficulty levels. I’ve played three of the four scenarios so far and got stomped every time. It’s easy to fall behind and get overwhelmed to the point there’s no way to recover and pull out a win. One of the big improvements from Second Edition, if not the biggest, is that the whole thing has been somewhat stripped down and streamlined. Setup takes a fraction of the time, as does game play. 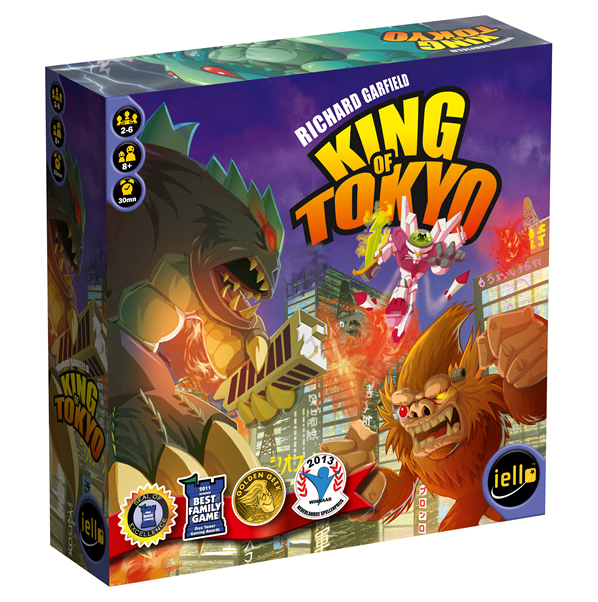 It’s much more viable as a two-player game than Second Edition, and you can spend a gaming day running through all four scenarios rather than dedicating yourself to just one. My hope for future expansions is that FFG will add scenarios along with new investigators, items, spells, allies, etc., but refrain from piling on new game mechanics.